Transparent cards in Gloom. Steal that idea! And now an ode to cardboard in this week's PopMatters piece on the physicality of board games. This past weekend, I went to the first ever Tableflip Conference, a tiny little mini-con dedicated to board game design chats and play sessions. This is where I first played Forbidden Desert, Matt Leacock's successor to Forbidden Island, which I discuss in the article above. I am a huge fan of Matt's work, so it was a pleasure to hear him talk about his games and his approach to autonomy among players. The "alpha gamer" problem is always a risk in the design of cooperative board games, I genre I adore, and you can see a clear improvement through his work into Forbidden Desert in particular. The physicality of the game plays a significant part in mitigating the problem, largely thanks to a shifting board state that makes optimal decision making difficult for one player. I want to emphasize how unique a shifting board state is among board games. Yes, the play space change in importance as little pieces move around a table or cards are played, but few games ever consider having entire pieces of the environment fall off or rotate out from under you. These are games that aim to reach the interest of a younger audience, which is why I think Leacock gets away with some of this clever physicality. In fact, there are plenty of games that use physicality and art to interesting effect. Dixit's art-interpretation puts interesting emphasis on creative storytelling that could easily be wrapped up into games of that ilk. 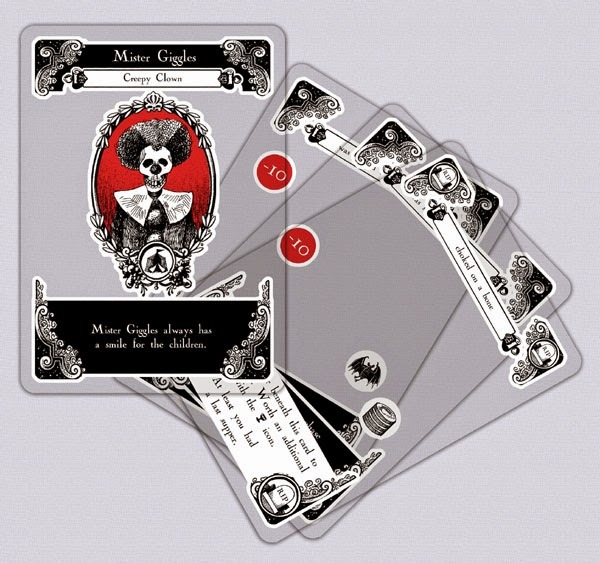 Gloom uses transparent cards to stack visual components to both mechanical and comedic effects. Why don't people make more games with transparent cards? It's so cool. Fantasy Flight's X-Wing miniatures game includes asteroid fields players set before each match, letting players take turn creating the board state before every game. How neat is that? Next time you play a board game and take all the pieces out of the box, ask yourself if the designers really used the physicality of the medium as thoroughly as they could have.